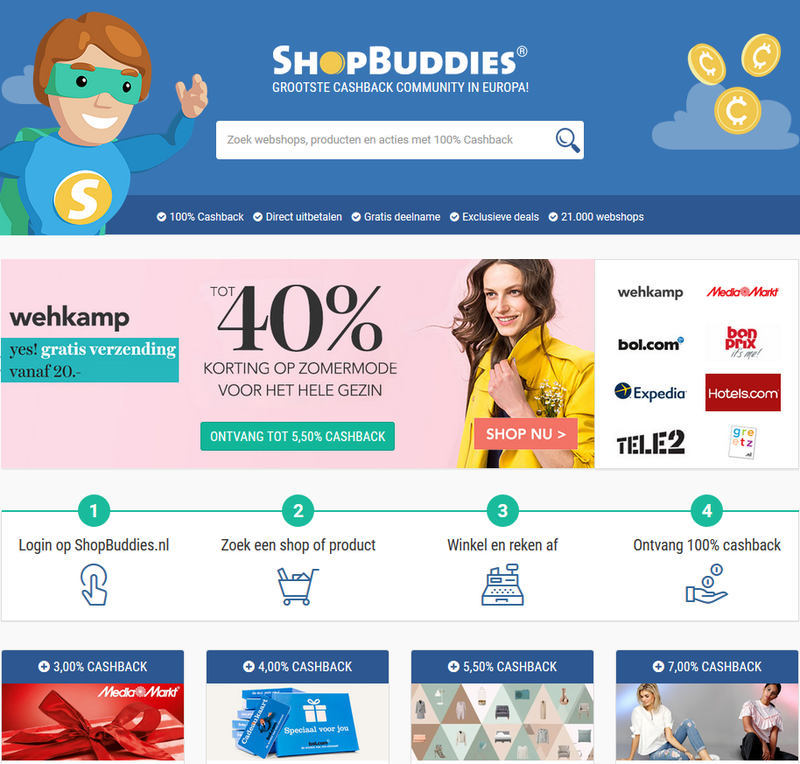 Recently OrangeBuddies launched its first 100% cashback website in the Netherlands, called ShopBuddies. The cashback website, formerly called ShopBuddie, has been completely restyled and undergone a name change. It’s the first Dutch 100% cashback shopping concept which allows clients to sign up completely free of charge and no additional fees are being charged for using the website or getting accrued cashback paid out. The launch of ShopBuddies in the Netherlands is not only the starting point for online shopping with 100% cashback, it also marks the start of an international campaign. OrangeBuddies Media works with over 21,000 international web shops and ShopBuddies members can now buy their products from foreign websites, as well. In a few months’ time, Shopbuddies will be launched in several other countries, including Belgium, Germany and England. The concept is expected to launch in all markets in which OrangeBuddies Media is active. The platform is an online shop and cashback guide that helps visitors find the product or service they are looking for – like clothing and shoes, but also electronics and holidays – and purchase it online using cashback. Over 8 million members buy products online using cashback through OrangeBuddies Media’s cashback websites and save money on millions of products. And with the expansion of the amount of web shops to 21,000, the possibilities to save cashback with online shopping has expanded considerably. Awin advertisers can benefit from the fact that the membership at ShopBuddies is completely free of charge and has no strings attached. ShopBuddies members can quickly save up a nice amount in rebates, thanks to the 100% cashback concept. In addition, payout is possible starting from a €1 credit in several ways: by bank transfer (i.e. actual money), by means of a gift voucher issued by a popular web shop or by transferring them to a pre-paid OrangeBuddies CashbackCard. Besides the free account, ShopBuddies offers its members optional upgrading to a Premium Account. In the ‘My Account’ section members can voluntary upgrade to a Premium account, a €5 cashback on accrued rebates will be forfeited once a year for Premium membership. Holders of a Premium Account do not have to wait for ShopBuddies to receive the commission from the web shop where they just purchased something, but will receive the approved cashback rebate at once upon request. Furthermore, Premium Members receive the cashback to which they are entitled even if an online shop is unable to settle its account with ShopBuddies. Also for brands and advertisers ShopBuddies offers a completely new and interesting online shopping platform. Its visitors are loyal men and women who frequently buy a wide variety of things online. They have an above average interest in the latest products, trends, discounts and special offers. In addition to offering members the opportunity to save money, the website puts the spotlight on several online shops and brands at a time, presenting them in its trend-watch sections and must-have collections. All the products and services presented in these sections can be purchased at once at the affiliated web shops, all of which offer cashback. In consultation with advertisers can be looked into the potential for further segmentation so as to reach the right (potential) target group. Members can also be surveyed on the name recognition and image of a certain brand or product. 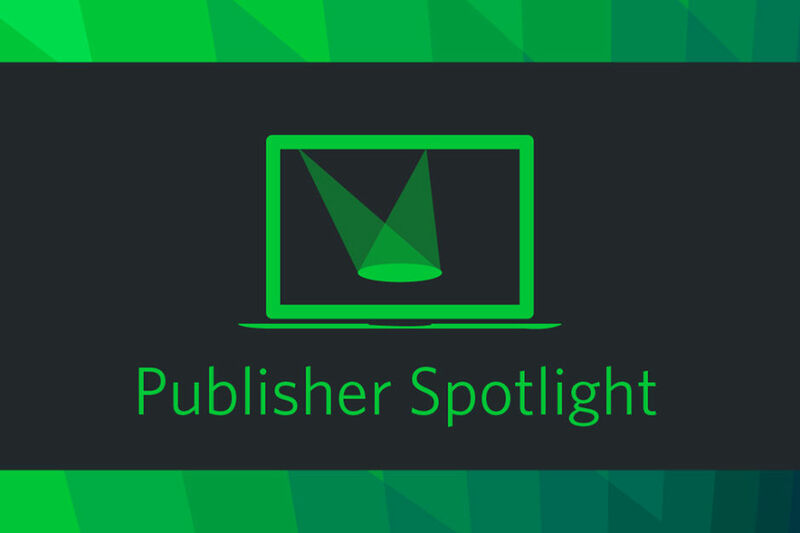 Subsequently, a branded advertising campaign can be launched through ShopBuddies’ various media channels in order to raise loyal online shoppers’ awareness of a new product or new collection. Orangebuddies is premium partner of Awin. Would you like to know more about Shopbuddies or our partnership, please don’t hesitate to contact Sang Bui, publisher manager Awin Benelux.